Electric power tool vacuum cleaner with automatic pulse filter cleaning (during work breaks) for universal use in industry, in the workshop or on the construction site. 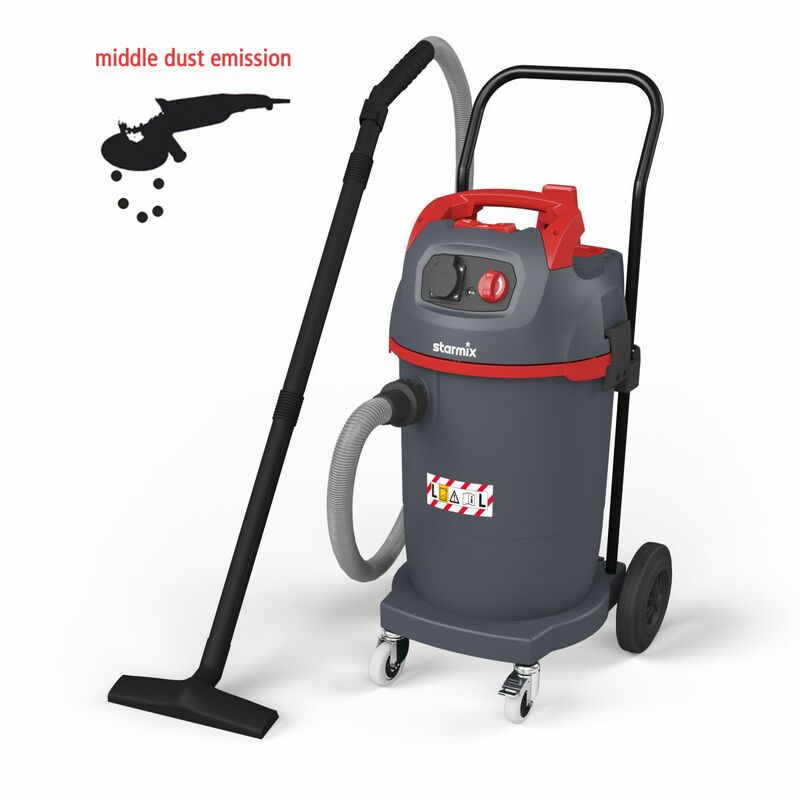 Suitable for drilling, milling, grinding and sawing, conrete, plaster, stone, cement, wood, paints and varnishes with normal to low dust emission. For operation with or without filter bag. Antistatic equiped. With appliance socket for electric power tool. Large ON/OFF switch with automatic ON/OFF switch for power tools. With additional blowing function. Easy to maneuver on the construction site due to the wobble-free accessory storage and the stable push handle, best hose winding and connector fixing. Rubber wheels and castors enable driving on rough subsoils.